I want to tell you about a man for whom I, and many others, have the utmost respect – Maurice “Dub” Harris. The rest is now history and, as it turned out, meeting Dub began a huge chapter in my life and in my passion for boxing. Dub interviewed me at his Los Angeles (Commerce), California office. Although nervous, I was confident during the interview, and he immediately, on that day, on the spot, welcomed me into the organization, asking me to start officially in January 1997 as a member of the Board of Directors. Dub told me something at that initial interview that I will never forget, and I applied it to the fullest during my ten year (1997-2007) tenure in the World Boxing Hall of Fame. 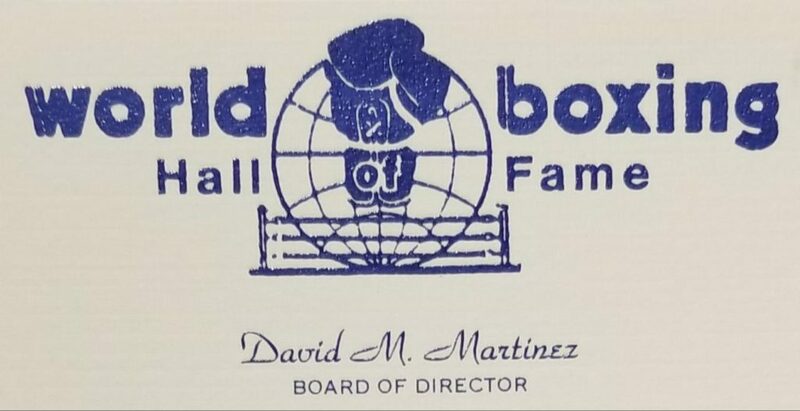 The quote was “Don’t ever let me down, Martinez.” I must admit, that single phrase prompted me to become the best I could be while serving in the World Boxing Hall of Fame and that quote still motivates me to this day. Dub Harris was born in St. Louis, Missouri and was a graduate of Washington University, St. Louis. His interest in boxing goes back to the 1930’s. He once boxed an exhibition with Billy Conn in 1945 while serving in the United States Army. Dub was a decorated war veteran serving in WWII and Korea. He was honored with 19 combat citations which included a Silver Star, four Bronze Stars, four Purple Hearts and the Soldiers Medal. 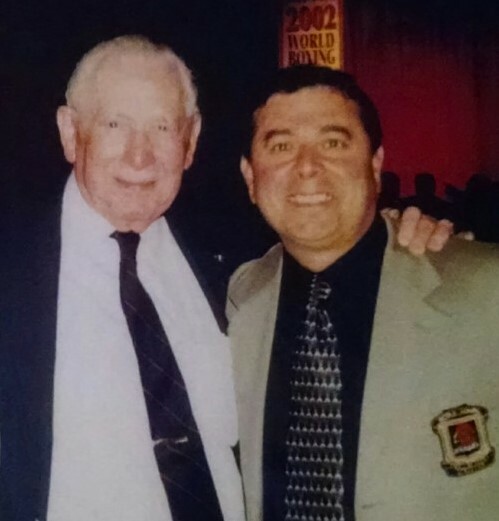 Dub, along with Everett Sanders (original founder), Charlie Casas, and Gordon Del Fario, was one of the charter members of the World Boxing Hall of Fame that started in 1980. He served five terms as president in 1982, 1985, 1989-90, 1995-96, and 1997-98. He remained active as Chairman of the Board until he stepped down due to failing health in 2005. Because of the opportunity he gave me, his trust in me, and in return my commitment to never let him down, I will never forget him as my president and mentor. He recognized my expertise in boxing and later appointed me to be the official Boxing Historian of the World Boxing Hall of Fame. Dub passed away on June 27, 2011 at the age of 94. May his soul rest peacefully forever in heaven with the Lord – Maurice “Dub” Harris. Beautiful reminiscence of a wonderful man. Dub was quite the character, but you always knew he was in your corner. Thank you for keeping his memory alive.